I am not a fan of the distortions pedals of any kind. I find that they don't have a real natural feel to them and the tone is just bland on most of them. They can be very harsh and shrill most of the time which makes me question why don't people just use real amp distortion? This pedal is a pedal that is just a pass for me. 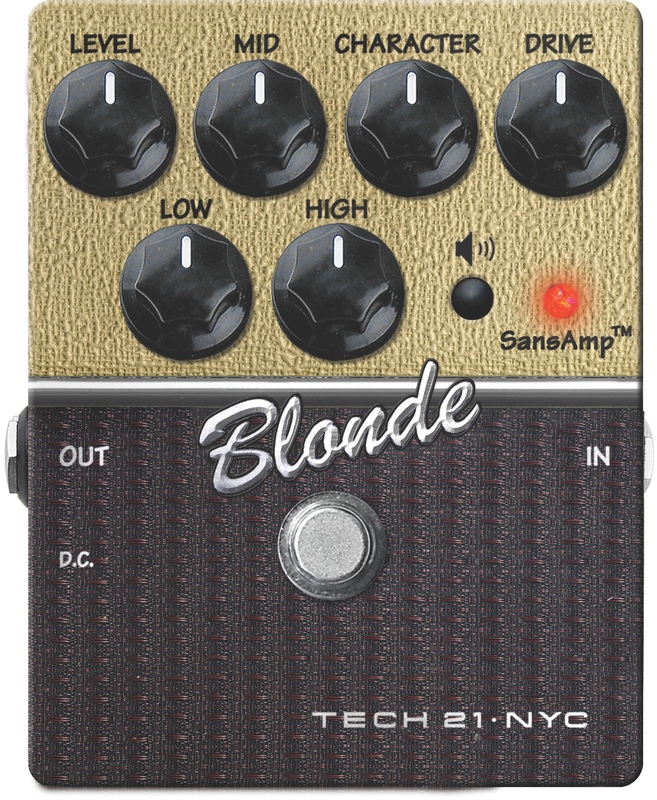 It has the Fender clean tones in it which to me is hard to emulated from a pedal. Getting a good Fender clean really only comes from a clean Fender amp. 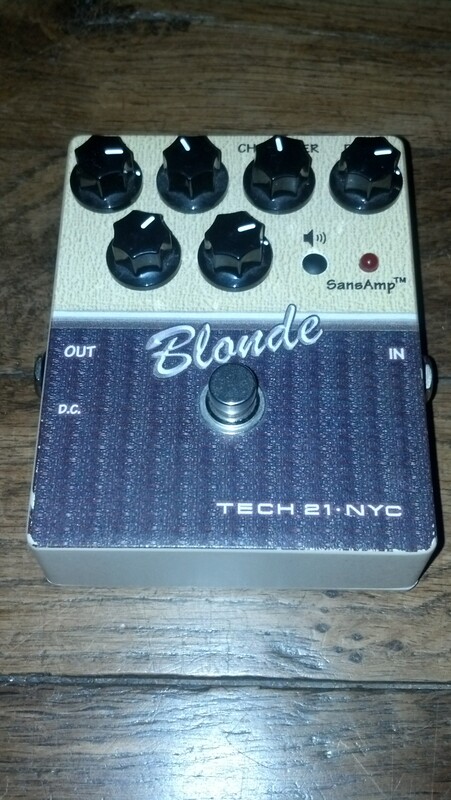 You can try to get some pedal to have a blackface voicing but it really won't sound like the amp. The blackface tone from Fender has been one of Fender's major achievements. Many people search to recapture that tone and many modern day boutique amp builders attempt to recreate that tone in their personal amps. This pedal doesn't really nail. How could they thought because to the core this is still just a pedal. You can out what ever chips in their and voice the pedal and have an assortment of control knobs and it still won't come close to a real tube amp that has the same schematics as the Fender blackface and tweeds amps. Otherwise everyone would be able to build a Fender tweed amp for less than $200. At new these pedals come in at around $169. That to me is a bit high for this pedal. 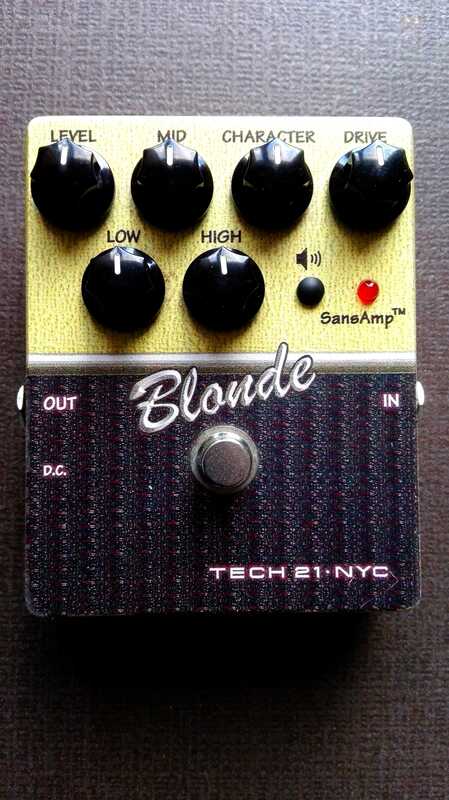 For me I don't hear anything that I find appealing in this pedal. If you want a good clean tone then get a cheap Roland Cube that has the Jazz Chorus for about $120 and then you have an amp as well. I woulnd't recommend this pedal to anyone. 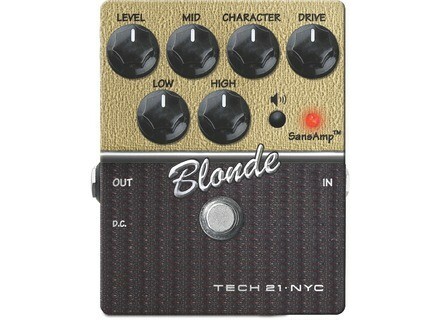 It is an unnecessary pedal that doesn't really give you the goods to pull off a great sounding Fender clean amp tone. pujol813's review (This content has been automatically translated from French)" Fender amps in popoche"
Simulating overdrive or preamp Fender amps. In one, an Out, power or 9 volt battery (very accessible). Simple adjustments: bass, mid, treble, volume drive and character. We will return to the two settings that interact each other. No MIDI not migraine. 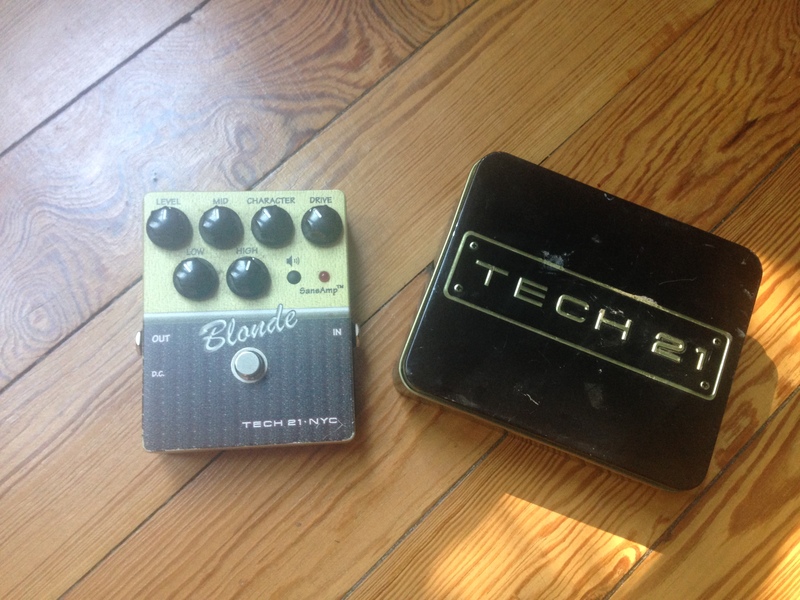 Tech 21 says it is analog. We will have the kindness to believe. Easy to adjust course, but considering the interaction between them settings, find the sound does not prove so easy. I did not read the manual and then maybe, but long ago. The balance between character and drive is quite thorough in the rate of clean / crunch sought. I played with a Telecaster and adjustment of these two parameters is difficult, especially if you change the configuration. Basically, the settings that are right in front of an amp will not go into a console and even the micro changes can sometimes upset the balance. However, I prefer to say that I have a Seymour Duncan bridge and stack in that micro sorely lacking roundness, where my weight in the judgment. Speak of her. 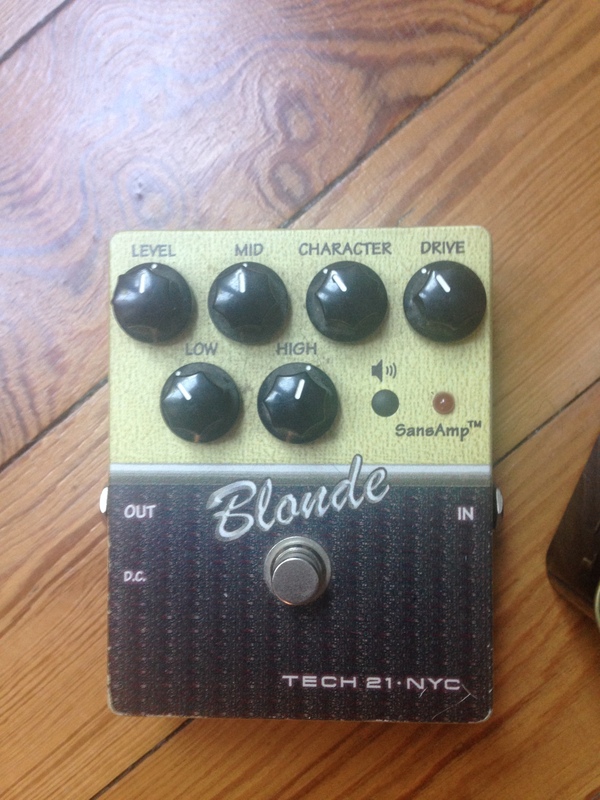 We bought this pedal to find the sound of a Fender. Personally, I wanted something simple to embed in concert with two or three effects front and back and shoo! directly in the console and returns. It turns out that this is not so simple. The clean sound lacks a bit of body or becomes sour if you force the media. So, I stuck a compressor in front and behind LPB2ube Electro-Harmonix to warm up before the console. Good result but we must admit that in the end, it takes a lot to get traffic Fender sound. However, properly adjusted, you can get a wide range of sound, the sound crystal clean a tweed blues drooling. So the sound is not disappointing. Played alternately with a good tube amp (a Laney Lionheart), it appears that the pedal does not blush on the side snapping and dynamic. I played for a year with this pedal. In concert, it is not sufficient in itself, as stated above, but I'm too old to carry a amp to play a few songs in a bar, the solution suits me very well . I like the side not complicated with a single sound. The hyper-choice always slows the game If I lose or change, I will try the Wampler 57 which seems to be the same barrel. Basically, I reach my goal, but like most guitarists, I always look for the little extra chouille to reach the supreme mojo. And it is well known, it does not exist. michelbdx's review (This content has been automatically translated from French)" BUT sounds very poor practice"
Direct access hatch for the battery. The manual gives some examples of settings: Clean - Blues - Singin 'Bassman Style - Style Ted Nugent. Potentiometers: Level - Low - Mid - High - Character - Drive. These are very close -> Handling difficult. Easy adjustments, ATTENTION knobs interact with each other, if you move a setting the other is affected. If you do get the (s) sound (s) of a Fender tube with the box ... FORGET now! it sounds very flat, very bland, no lamp is sorely felt. More settings are pushed, the more we move away from realism and more Fender. I use it mainly for clean sounds to which I add an OD or Disto needed. I had a Vox Tonelab which was much more convincing, and SansAmp GT2 bought his exit had left a good memory but a long time ago. However, this little box is very convenient, you can take it anywhere it troubleshoots and despite much sound quality (s) mediocre. For use as a hobby when we move and we do not want to take his amp. I do not regret this purchase because it really makes me BUT service in some situations it is not part of my pedalboard. At the output of the series Character I planned to acquire several (Hiwatt - Mesa - Marshall - Orange), I doubt I even bought another 50 € occaz. To acquire OCCAZ if you want to have a little box that you can carry around and connect without the need for a real amp sound.